No one sells a home every day! 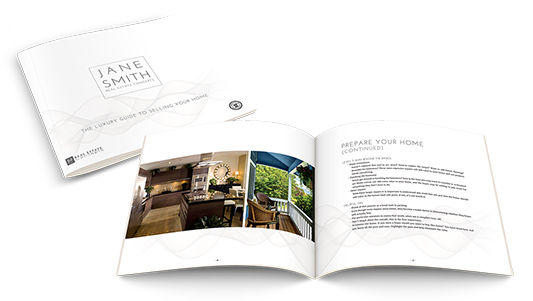 Ensure that your clients have the information they need to make informed decisions with these professionally designed, sophisticated yet clearly defined step-by-step process to the process of selling their home. Use our generic, but comprehensive and fully researched real estate content, or customize it to your specifications. 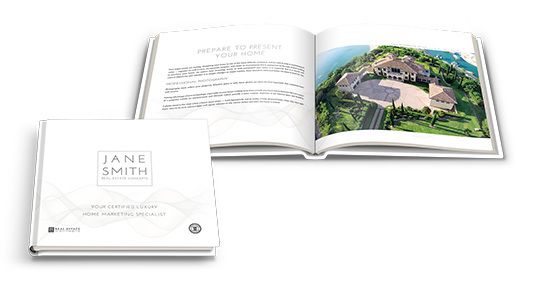 • Includes your branding and your realtor information. • Include testimonials, statistical information or even examples of recent sales. • Soft Cover Books – 40 pages. 11 x 10 Soft Covers (glossy or soft coated) with silk paper stock. Coil or Saddle-stitch (perfect bound available at additional charge). Design time is charged at $79.00 per hour (typical design time = 2 hours depending on customization) – 2 hours pre-charged. If design time exceeds 2 hours you will be notified immediately. On-line: with a photo link in your email signature, your website/s or social media platforms. 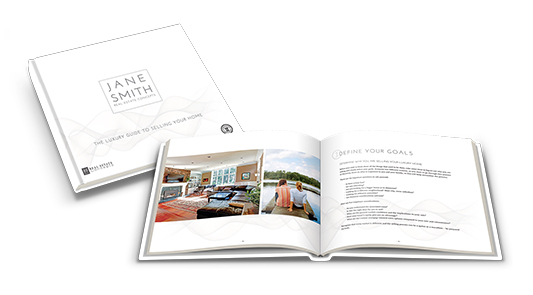 Customizable: with a digital template file, ready for you to add specific and current information that targets your current seller’s criteria and specific marketing plan. Shipping and / or mailing will occur within 24 hours of the clients approval of artwork. Deadline for 24 hour delivery is 2pm PST.